A few years ago, an email circulated among my friends asking us to pick our favourite dessert from one of 10 choices. The point was to find out what kind of personality we had based on our dessert preferences. A simple bit of fluff, but I did find the results telling. Not one of my friends chose the actual best dessert in the world, despite its presence on that list of 10 dessert choices. This told me less about my friends’ personalities and more about the sad lack of real homemade strawberry shortcake in this world. I’ve seen a lot of soggy sponge cake and flavourless sickly sweet berries desecrating the name of strawberry shortcake. Honestly. 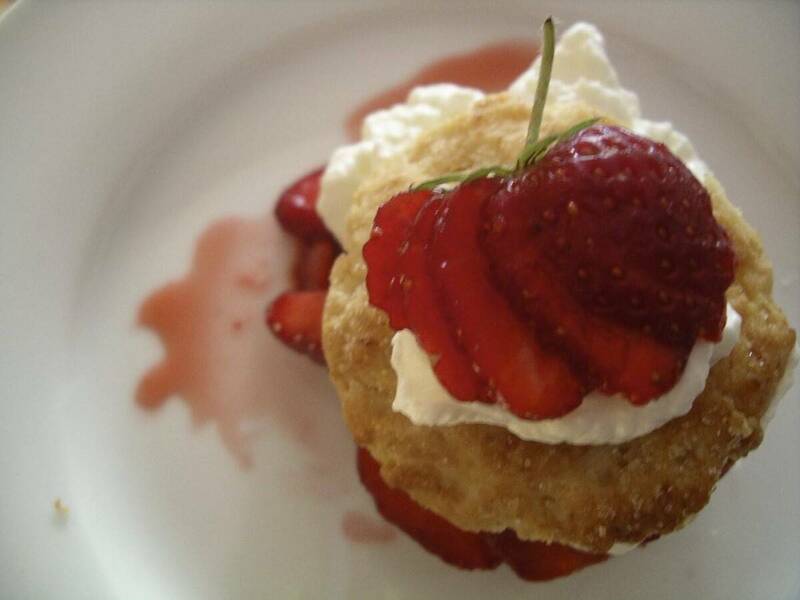 It’s probable that my friends had never had a great strawberry shortcake, one made with a homemade buttery biscuit and freshly picked sweet local berries. And I worry that many others have suffered the same lack! So many are missing out. The inspired flavour combination of luscious cream, ripe berries and toasty biscuit is an absolute dream match, right up there with tomatoes and basil, or garlic and butter, or steak and black pepper. So, I hope to change all this by example. I want to wow and excite everyone with this simple yet spectacular dessert. 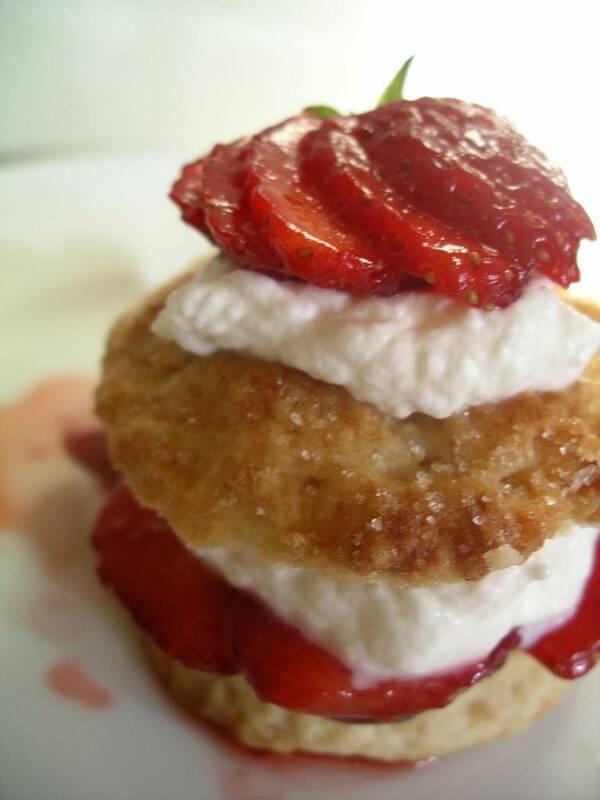 I plan to make and eat strawberry shortcake as long as the local strawberry season lasts. I will have friends over to share. I will make some raspberry and blueberry and peach variations while I am at it. 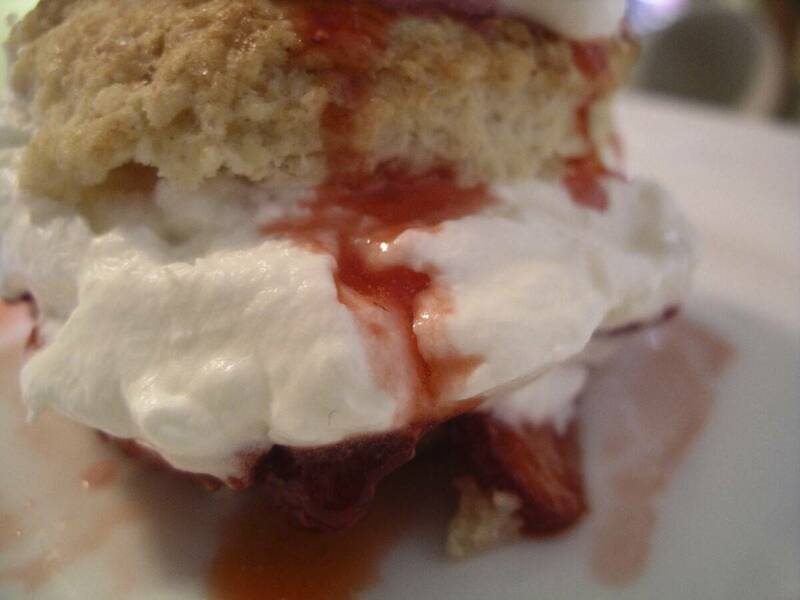 And I am about to post my recipe for super specatular extra-yummy homemade strawberry shortcake. Now is the season! Seize and enjoy! This simple and delicious summer dessert is made in three parts and assembled at the last minute to maintain freshness. The individual parts can be made in advance. In a medium bowl, whisk together all the dry ingredients, using 3 to 4 tablespoons of the sugar, and reserving the remaining sugar. 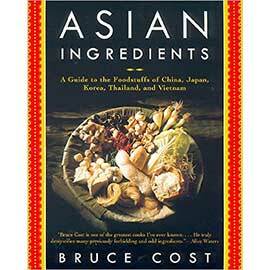 Cut cold butter into the dry ingredients until the mixture is crumbly, with pieces of butter no bigger than a small pea. Quickly stir in 1 cup of yogurt until mixture holds together. If mixture is too dry to hold together, stir in remaining 1/4 cup yogurt. Turn dough out onto floured counter and gently pat into a disk about 1/3-inch thick. 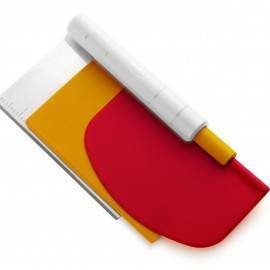 Cut with round biscuit cutter (use the 2-inch or 3-inch size). Place biscuits on an ungreased cookie sheet. Sprinkle the tops of the biscuits evenly with the remaining sugar. en. Remove to a wire rack to cool. I prefer unsweetened, unflavoured cream myself. I think it has a clearer flavour and lets the berries shine. But if you prefer the sugar and vanilla, then for sure use them. Use a large chilled bowl to whip the cream. The cold will make the cream whip up faster. Cut each biscuit in half crosswise. Place each bottom on an individual small plate. 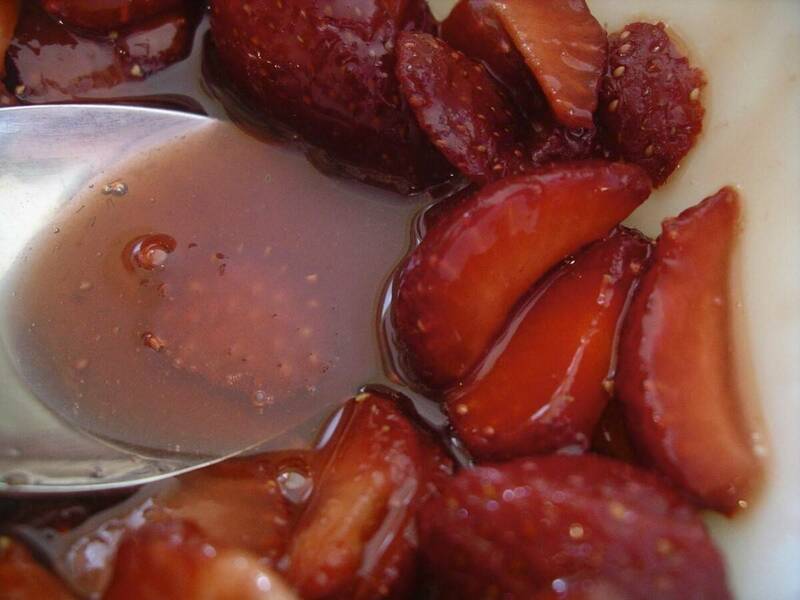 Spoon a generous portion of berries with their sweet juice onto each bottom. 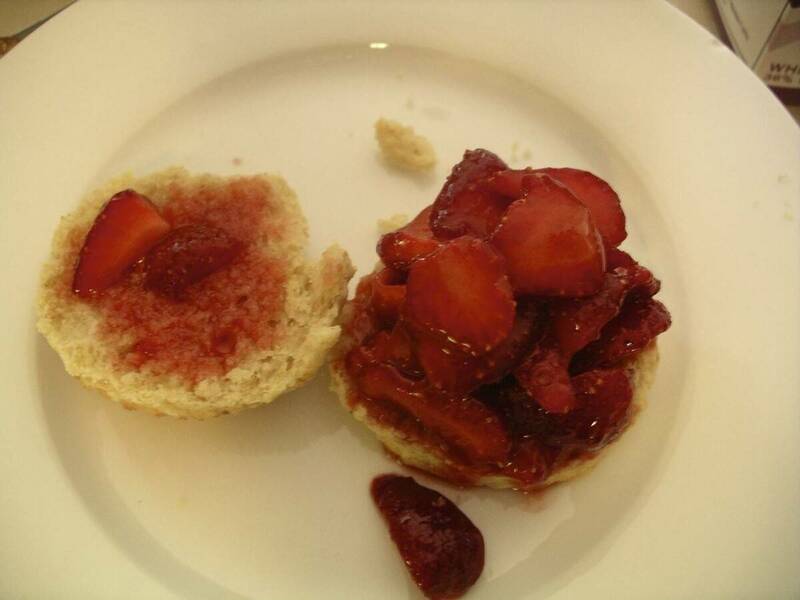 Next, dollop on some whipped cream over the strawberries on the bottom biscuit. Top with biscuit tops, and decorate each top with a little dollop of whipped cream and one berry. Serve immediately. And enjoy! 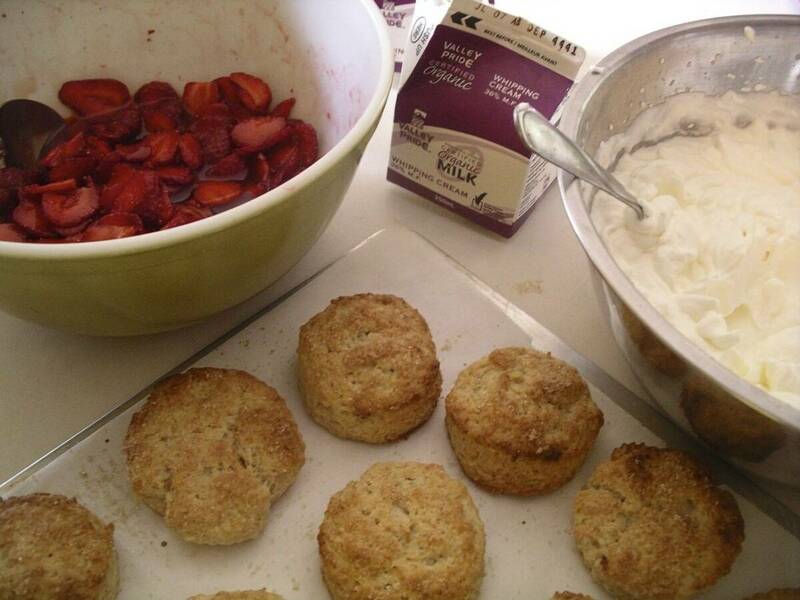 I have made this recipie often and can say that the shortcakes are the tenderest, butteryest, yummyest that I’ve ever had. Of course, I may be biased as this is also my favorite desert. Glad you posted it. Beautiful! I went to the rootcellar the other day and bought some local strawberries and decided to try one at the bus stop. Lets just say the strawberries didn’t make it home. I absolutely cannot wait to make this…but need to get more strawberries hehe. Finally had enough berries on hand to try this out tonight! So lovely, and not hard either, got to love that combo!!! My son had his with vanilla soy ice cream rather than whip cream and loved it. My husband agrees with you that it’s the best strawberry shortcake in the world. You’re so right. 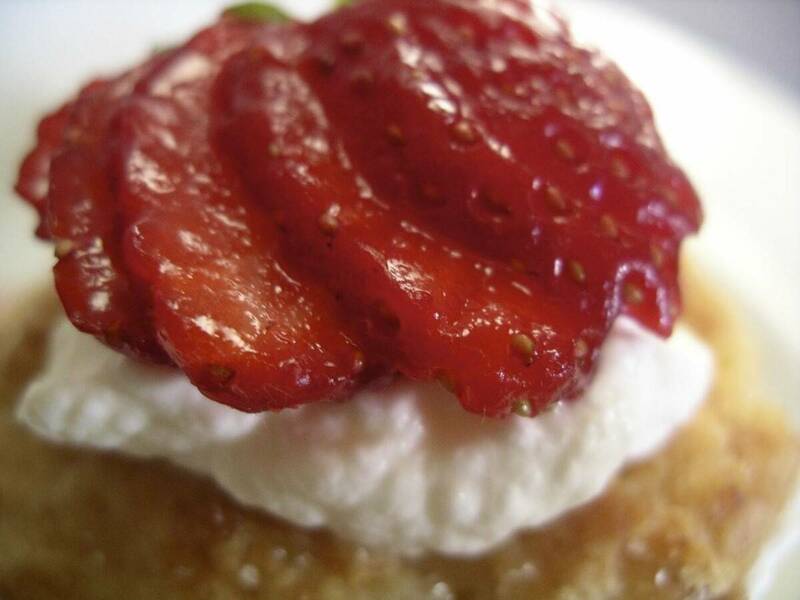 I can walk away from chocolate desserts and cheesecake, but strawberry shortcake, never. This looks like the real thing, can’t wait to try it next strawberry season. Love this dessert…. so now that I’m mostly wheat free, Heidi, do you think if I used Bake My Day gf flour or almond flour the bisquit would be delicious too? 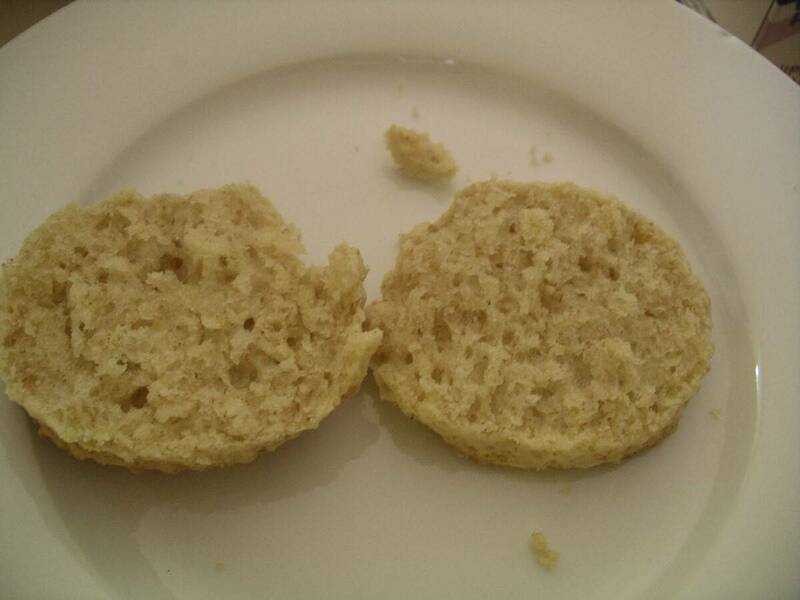 Hi Mary – yes, the biscuit will still be delicious when made with either Gf baking mix, or almond flour, or a combination! 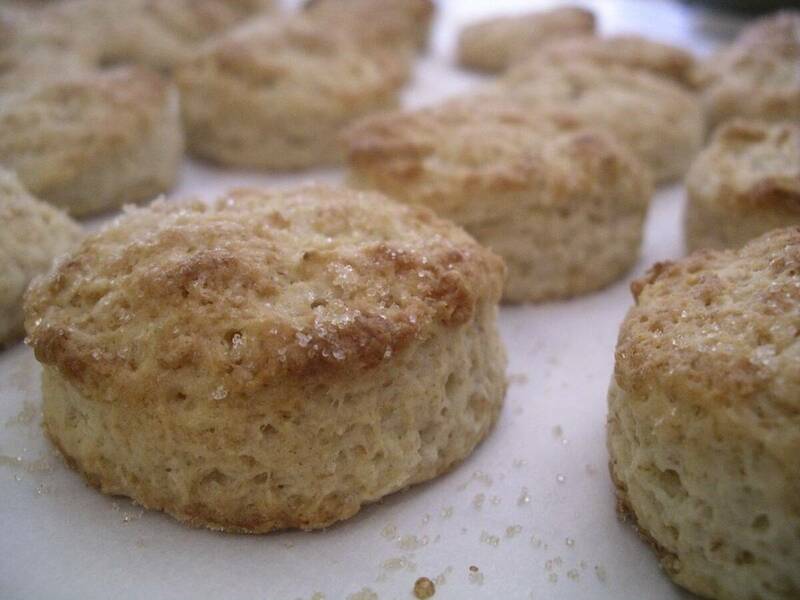 Yes, you can use almond flour or gluten-free mix in the biscuit recipe!